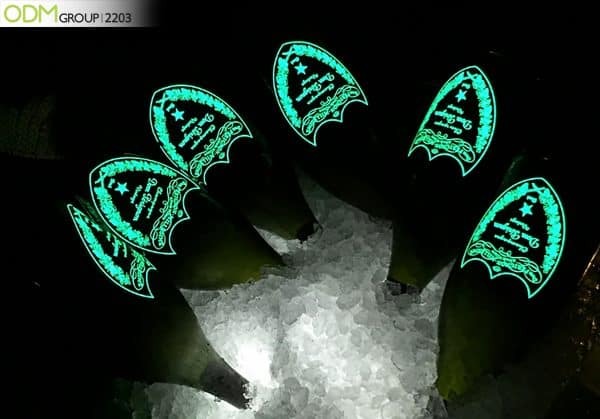 Luminous labels are a sure way to make your drinks brand stand out from the crowd. As a business owner, you want to make sure that you get the most out of your marketing strategy and budget. One way to maximize your promotions is through effective branding and pushing the boat out with interesting labeling and packaging. Luminous Paper: The label is made from paper thin PVC and/or PET. PVC plastic is a tough material that has a lot of industrial and design applications. PET can be easily shaped and is fairly durable against the weather. Both materials are lightweight, making them perfect for custom advertising signage. 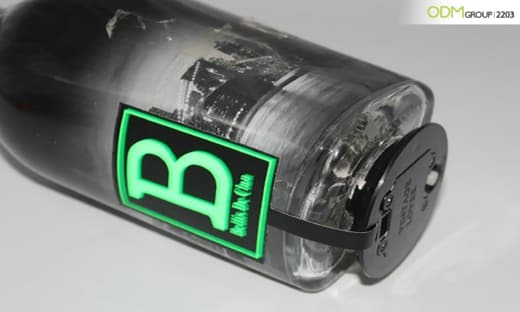 Battery Pack: It comes with a plastic battery pack that you can connect to the bottom of the bottle, as shown in the picture below. The battery can be AA, AAA, or button cell, depending on your design needs. Labels can light up from 2-30 hrs. Promotional T-Shirts: This also works great with promotional t-shirts. Instead of silk screen printed logo/brand name, why not jazz up your shirt designs with a custom luminous label? It looks more eye catching, especially at concerts and sporting events. 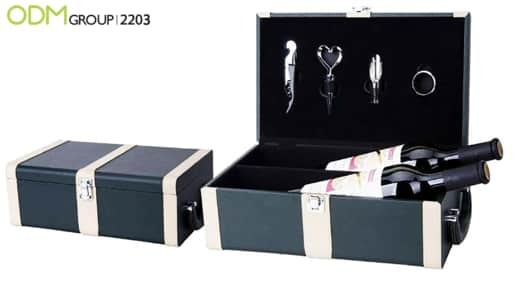 Custom Gift Box: The illuminating logo lends a magical feeling to your custom gift box. Great for just about every industry, jewelry, wine, drinks, beauty products, food… you name it. Our ODM team works with a Custom Gift Box Factory so you can count on us for bespoke gift boxes that suit your branding needs. Promotional Bags: Great addition to your design because it can tremendously improve your product’s aesthetic appeal. Glowing designs and logos will help make your product stand out. Product Packaging: Make your packaging come alive with logos, designs, and brand names that light up in the dark. This works great with Christmas and Chinese New Year celebrations as the lights give off a festive vibe. Custom Signage: Ideal for custom signages and menus for bars and restaurants. 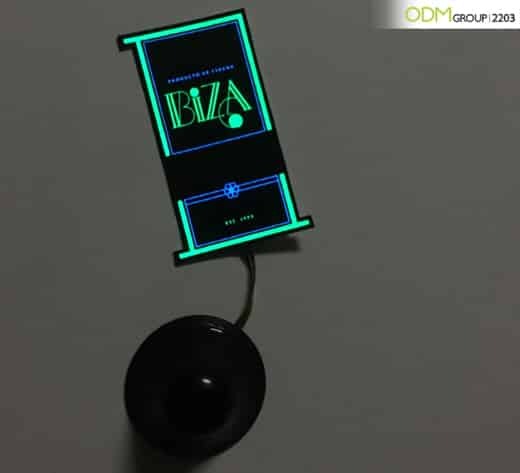 The bright designs will pop up in dimly lit resto-bars. You can either send us an existing design or commission our talented product designers at Mindsparkz for fresh designs for your brand. We will send you samples once you have decided on a design. Let us know what you think of this product. Include code 2203 in your inquiry to get quote. Contact us today! Aside from design works, you can also expect us to deliver high quality unique promotional products, marketing gifts, and POS displays. To know more about our previous projects, check out our case studies!